We woke up to a cold strong wind and did our best to hitch up to begin the adventure home. 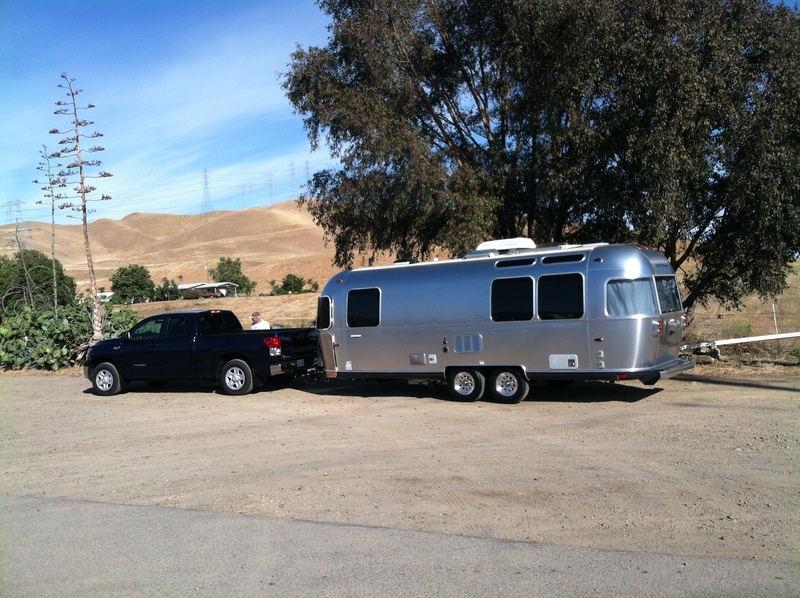 She tows like a dream on anything flat and straight. Downhill stretches, look out! It feels like an 8,000 pound freight train bearing down on you. Sure enough our trusty guide “R” knew all the best places to fuel up and eat. If you are ever in the Tracy/Modesto area in the morning you have to stop at the diner on the NW corner of the Westley exit off of the 5. Perhaps the best bacon in the world! Amelia and I took turns driving. Ten and a half hours later we were pulling into our neighborhood. I’d be lying if I said it wasn’t a white knuckle stressful trip. Driving through LA is always hell, but being rookies, towing for the first time, it was an extra special version of hell. 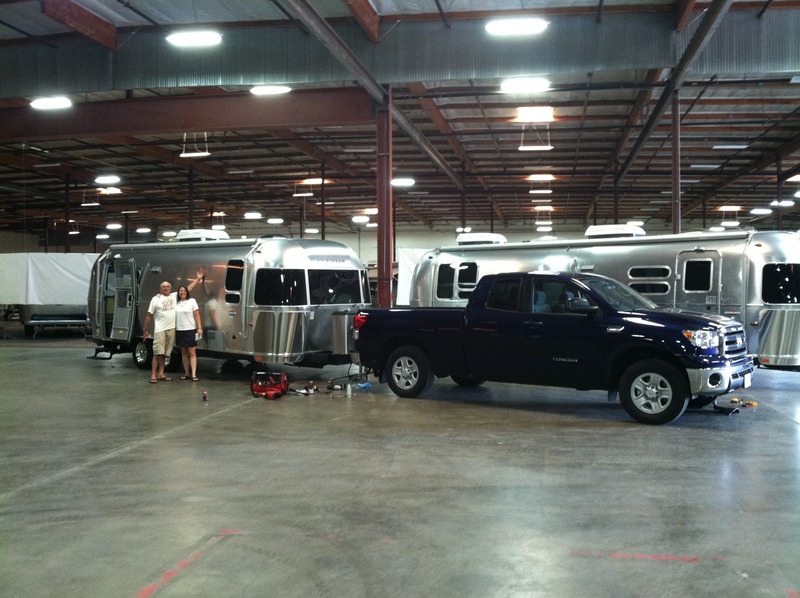 The best remedy is sitting in your brand new Airstream, parked in your neighborhood, drinking an ice cold beer! We did it and we made it! 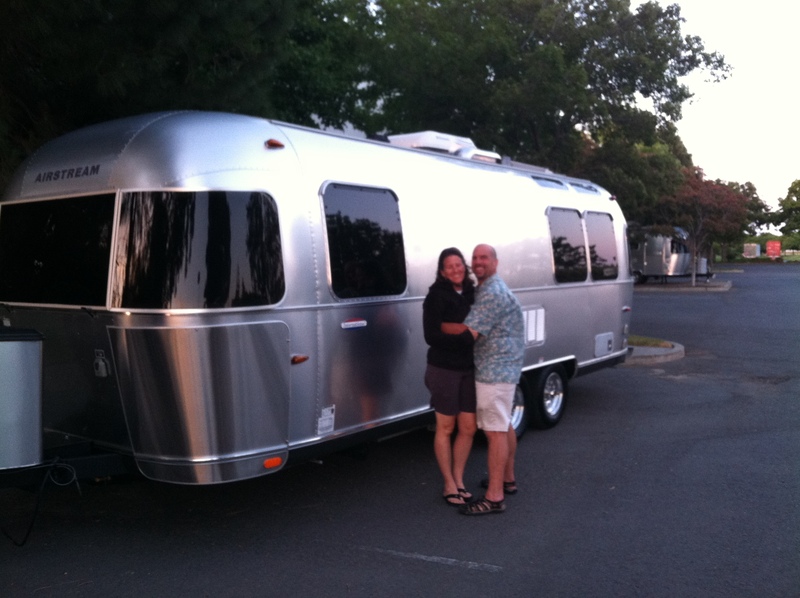 May 25th, Memorial Day weekend, we drove 8.5 hours to Fairfield, CA to pick up our new 2012 Airstream International Serenity 25FB. Amelia’s dad, “R”, came along for support, just in case! We had never towed anything, and “R” is an experienced trailer guy who’s been up and down the I-5 more times than I can count on all my digits. 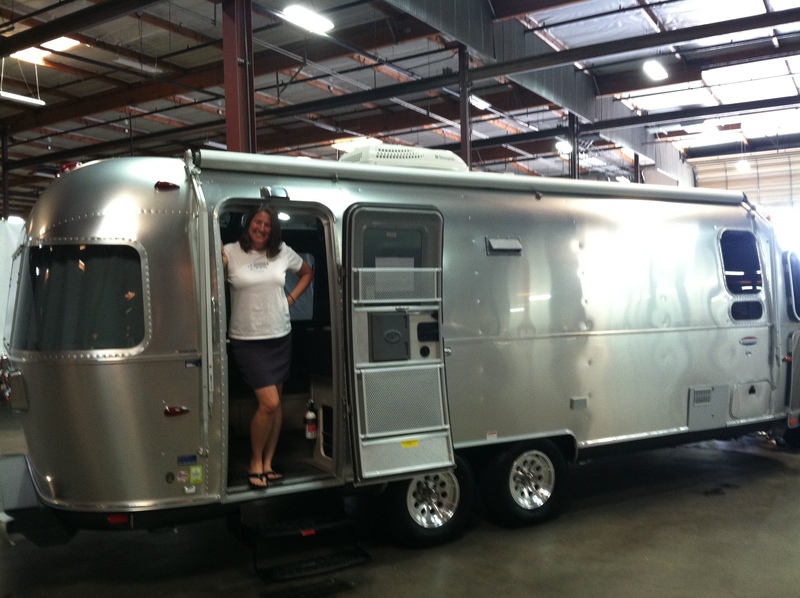 We all were giddy with excitement as we pulled into the Airstream dealer. They were waiting for us. Steele was in charge of explaining all about the coach. He said it would take about 90 minutes. Little did he know, with this inquisitive group it was a 3 hour seminar. Then came the paperwork. I was extremely pleased that it wasn’t like buying a car. No pressure, no add-ons, no extended warranties, just sign here, thank you very much! The original plan was to go practice driving and parking. However we were all frazzled and starvin’ marvin, so instead we each just drove a few blocks. 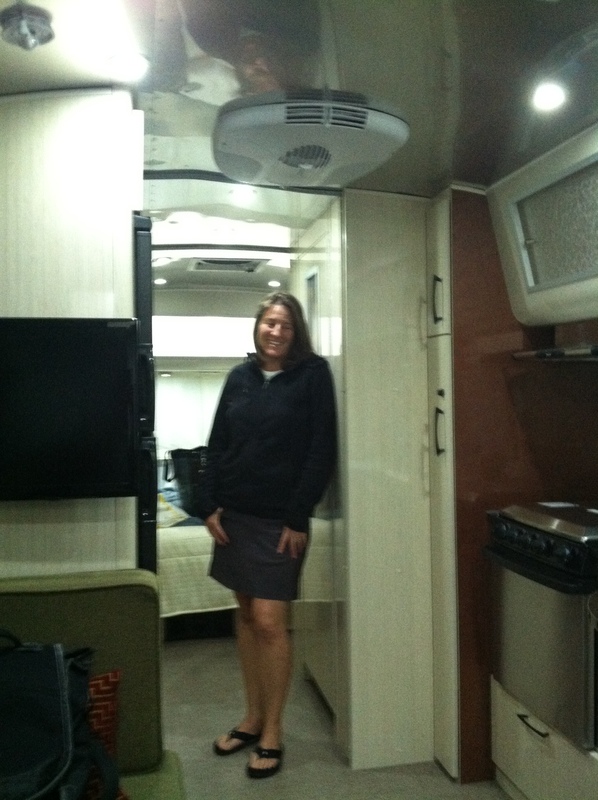 Then we unhitched the Airstream in the dealer’s lot and headed out for dinner. (“R” only had one beer!) After dinner, we glamped out, our very first night, in the dealer’s lot. Spoiled and she doesn’t even know it, according to Steele.